On a Microsoft Exchange 2016 Server, utilizing Let’s Encrypt SSL Certificates, an upgrade to Cumulative Update 12 may fail. This is due to security permissions on the SSL certificate. The CU install will fail, some services may function, but the server will not accept e-mail, or allow connections from Microsoft Outlook, or ActiveSync devices. PowerShell and EAC will not function. [02/18/2019 19:24:28.0868]  0. ErrorRecord: Could not grant Network Service access to the certificate with thumbprint XXXXXXXXXXXXXXXXXXXXXXXXXXXXXXXXXXXX because a cryptographic exception was thrown. [02/18/2019 19:24:28.0868]  0. ErrorRecord: Microsoft.Exchange.Management.SystemConfigurationTasks.AddAccessRuleCryptographicException: Could not grant Network Service access to the certificate with thumbprint XXXXXXXXXXXXXXXXXXXXXXXXXXXXXXXXXXXX because a cryptographic exception was thrown. ---> System.Security.Cryptography.CryptographicException: Access is denied.
" was run: "Microsoft.Exchange.Management.SystemConfigurationTasks.AddAccessRuleCryptographicException: Could not grant Network Service access to the certificate with thumbprint XXXXXXXXXXXXXXXXXXXXXXXXXXXXXXXXXXXX because a cryptographic exception was thrown. ---> System.Security.Cryptography.CryptographicException: Access is denied. [02/18/2019 19:24:28.0883]  [ERROR] Could not grant Network Service access to the certificate with thumbprint XXXXXXXXXXXXXXXXXXXXXXXXXXXXXXXXXXXX because a cryptographic exception was thrown. [02/18/2019 19:24:28.0883]  [ERROR] Access is denied. [02/18/2019 19:24:28.0895]  Setup is stopping now because of one or more critical errors. [02/18/2019 19:24:28.0895]  Finished executing component tasks. 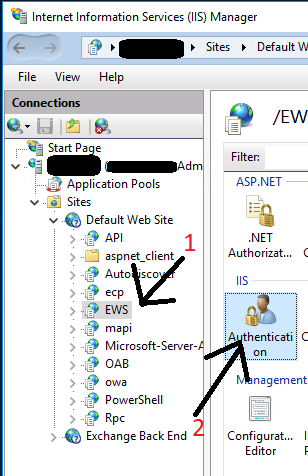 Unfortunately because Exchange is not working, you won’t be able to use Powershell or the EAC to configure SSL certs. Once the “Edit Bindings” windows is open, you’ll want to open BOTH https bindings, and click “Edit”, and then change the SSL Certificate from the Let’s Encrypt SSL cert, to the self-signed Exchange certificate that ships on the brand new install. The self-signed certification most likely will be labelled as the computer name. 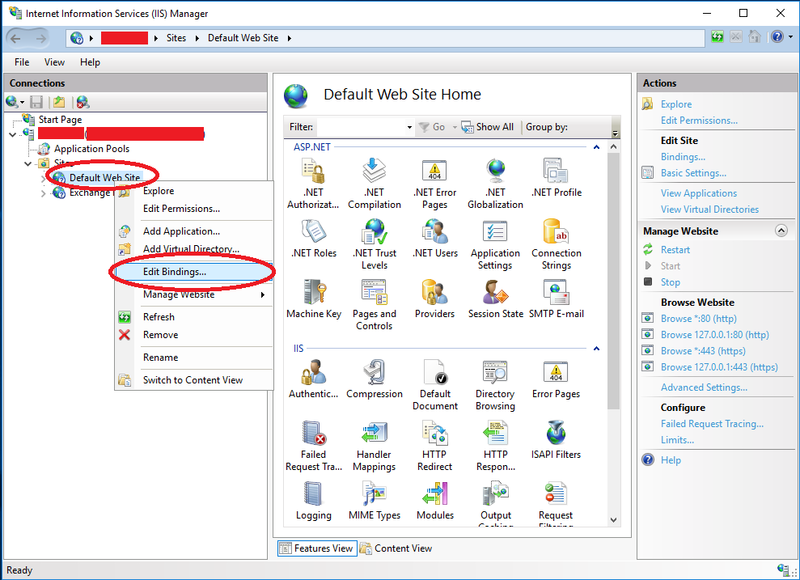 If you configured the Let’s Encrypt SSL certificate on the “Exchange Backend” IIS site, you’ll also need to repeat these steps on that as well. You can now restart the server, run the “setup.exe” on CU12 again, and it will attempt to continue and repair Exchange 2016 Cumulative Update 12. After the update is complete, you’ll want to restart the server. You’ll notice that the acme script, whether run automatically or manually, will not set the Let’s Encrypt certificate up again (because it’s not due for renewal). You’ll need to run the letsencrypt.exe file, and force an auto renewal which will kick off the Exchange configuration scripts (or you can manually set the certificate if you’re comfortable applying Exchange SSL certificates via PowerShell. In the latest updates and versions of Microsoft Office 2016, I found a bug where when a user adds a new on-premise Microsoft Exchange 2016 account, it will repeatedly prompt for a username and password and ultimately fail if you hit cancel (no matter how many times you enter credentials). This was on the internal LAN on a domain joined workstation. All the of the above came back fine and were configured properly. I have numerous other Outlook 2016 clients configured and working (installed as older versions, but have been updated), so I used those to troubleshoot (same scenario, domain joined on internal LAN and external WAN). After spending 10 hours ripping apart everything, confirming configuration, I noticed that when using the “Test Email Autoconfiguration…” (holding CTRL while right clicking on Outlook tray icon), that the e-mail clients had a skewed order for checking autodiscovery. To fix this issue, create a text file and copy/paste this text below. Then save it, and rename it as ExcludeExplicitO365Endpoint.reg and run it (this will import the applicable registry key). ONLY DO THIS if you are using an Exchange On-Premise account, and not a Office365 or hosted exchange account. You’ll notice that we also set “ExcludeHttpsRootDomain” to “1” which stops it from checking the root domain. After this, the issue was completely fixed. If you know what you’re doing, you can also use Outlook GPO settings and deploy this to a vast number of systems using Group Policy. While reading numerous documents covering autodiscovery, I also came across an article that went in to detail with particulars as to how Mapi over HTTP functions. 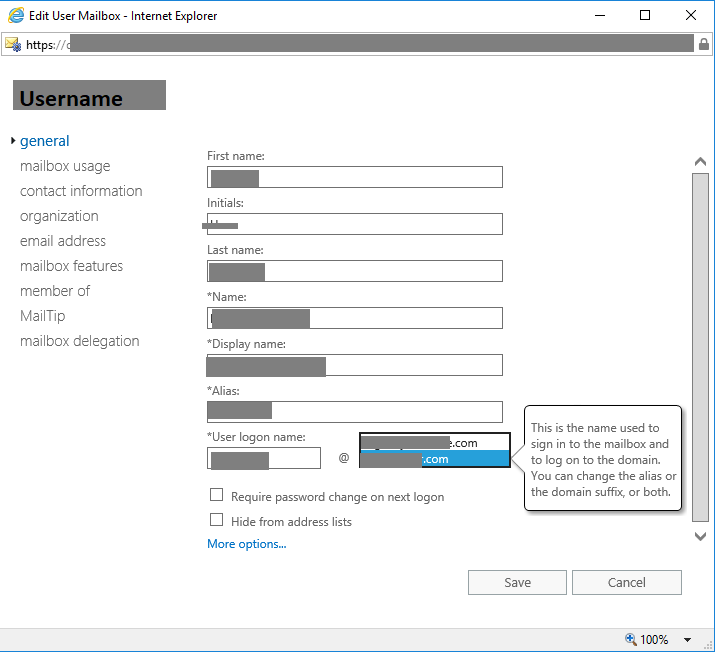 Even with the above, when accessing Outlook externall from the domain, you may still notice a single password prompt for the first time you log in externally. After reading through documentation, I found that this is most likely because the first user account login (the very first time the user logged in on the computer), the username format of “DOMAIN\Username” was used, and not the UPN. The documentation mentioned that this may fail the negotiation, which will require a single password prompt on autodiscovery. 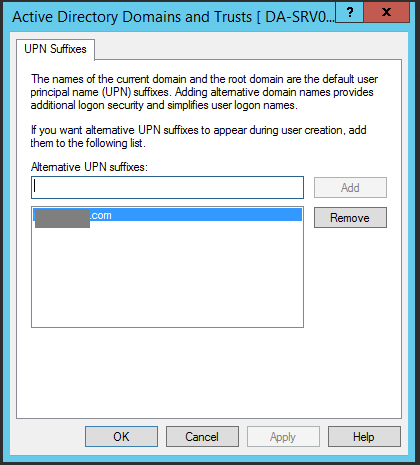 This issue can be avoided by using the users UPN (username@domain.com) to log in for the first time on the system. Please note that the UPN must match the user’s e-mail address. Something that has bothered me for a very long time has been the fact that mobile devices (using Microsoft Exchange ActiveSync), automatically send read receipts if the sender has requested it without prompting the user. This means that if someone sends you an e-mail, requests and read receipt, and you open it on your mobile device; it will send a read receipt without prompting you or giving you a choice in the matter. Now, with Microsoft Exchange 2016 you can disable this so that mobile devices don’t automatically send these read receipts out. It’s a simple procedure using Outlook on the web (previously known as Outlook Web Access, a.k.a OWA). Log on to your OWA (Outlook on the web) server. Check the checkbox for “Don’t send read receipts for messages read on devices that use Exchange ActiveSync”. After doing a migration from Microsoft Exchange 2013 to Exchange 2016 I noticed that my Offline Address Book (OAB) wasn’t being made available to Outlook clients. When trying to perform a manual download (Send and Receive -> Download Address Book), it wasn’t in the list. Also when using the “Test EMail AutoConfiguration..” (by holding CTRL and right click on Outlook System Tray icon) to examine the AutoDiscover information, there was no OAB URL (OABUrl in XML) being sent to the clients. I spent 3 hours trying to find out why this was happening (I assumed it was configuration and/or IIS authentication related). All my virtual directories and URLs were fine, and the OAB was being generated fine without any issues. It simply wasn’t being passed to Outlook clients. I couldn’t find any references of this occurring to other users. I finally discovered that the “WebDistributionEnabled” configuration flag was marked to False, when it needs to be marked as True. This flag when set to true, allows it to be distributed (Note/Fun Fact: There’s a separate and different flag for older Exchange versions where the OAB is inside of the Public Folder Store). There’s also a different flag “GlobalWebDistributionEnabled”, which is recommended to be enabled as well on Exchange 2016. When setting this second flag to True, it also sets the first one above to True as well. After making the above changes I recommend issuing an “iisreset” or restarting your Exchange Server. There will also be a delay where you’ll need to wait for your Outlook clients to refresh their autodiscover configuration. You can run the “Test Email AutoConfiguration…” to see if the OAB is now being passed to your clients. Update – January 8th 2018: After upgrading from Exchange 2016 CU7 to Exchange 2016 CU8 and restarting the server, the password prompt was occurring again on internal/external domain joined computers. Stay posted for more information. Update – January 13th 2018: If you upgrade to any new CU versions (CU8 or higher), I would recommend resetting all your virtual directories to REVERSE the configuration advised below. On CU8, new issues arose and were resolved by fully resetting (restoring to default) the virtualdirectory configuration, and then re configuring them with the appropriate URL values. The fix below was NOT applied and is NOT needed on CU8 or later. Update – January 14th 2018: If you still receive password prompts, you Outlook 2016 client may be trying to autoconfigure with Office365 instead of your on-premise Exchange deployment. This is due to the autodiscover order being skewed on a new Outlook 2016 update. Please see https://www.stephenwagner.com/2018/01/14/cannot-create-exchange-2016-account-office-2016-due-repeated-password-prompts/ for more information and a fix for this. Today I came across an issue that I experienced with Microsoft Exchange 2013, and Microsoft Exchange 2016. The issue relates to using MAPI over HTTP with Microsoft Outlook 2016 (however I’m sure this affects earlier versions) clients. 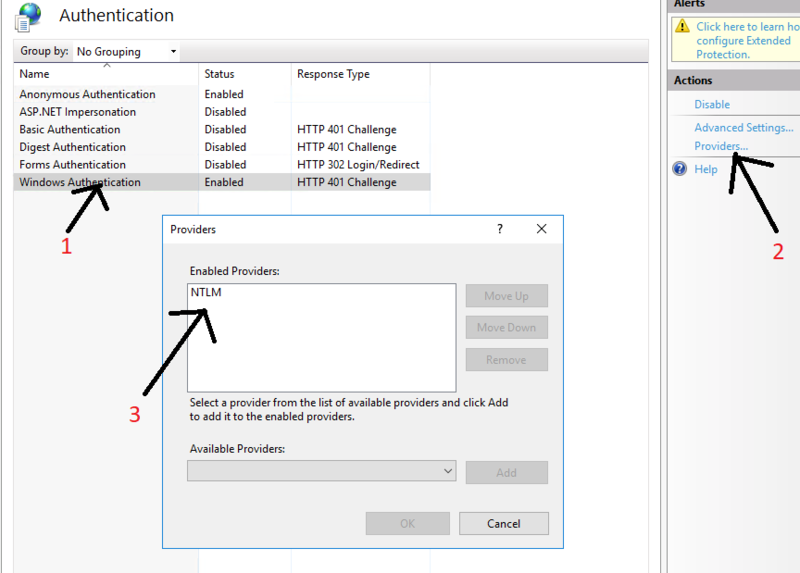 Repeat for the mapi on the left as well (Select “Default Web Site”, select “mapi” on the left hand side, and then select “Authentication” on the right side), and confirm that only NTLM is in the list of providers. 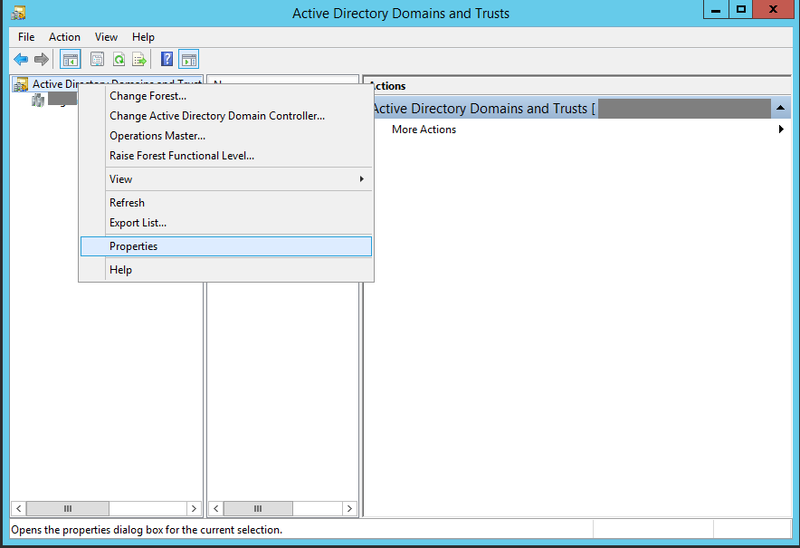 Open up command prompt and type “IISRESET” to reload IIS, or restart your Exchange Server! Around the end of September, I posted a blog article talking about Outlook 2016 prompting for password credentials due to a Office 2016 click to run update bug when using Microsoft Exchange. While they did just recently fix this by deploying a new update, I have since come across a new bug in the latest update. I noticed multiple computers with Outlook 2016 Version 1710 (Build 8625.2121 Click-to-Run) started getting stuck with the Outlook icon on the system tray showing that it was sending and receiving. When opening Outlook, and hitting Send and Receive, nothing is shown. 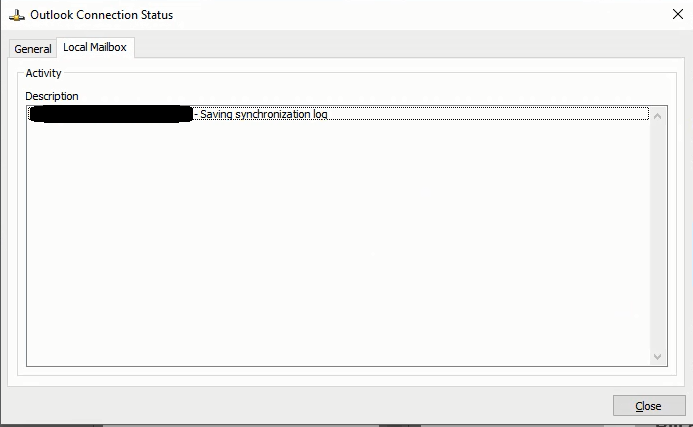 When you hold down CTRL and right click on the Outlook icon, choose “Connection Status…”, then select the “Local Mailbox” tab, you’ll notice it gets stuck on “Email@address.com – Saving synchronization log” (as seen below). I went ahead and tried all the usual troubleshooting steps like deleting and recreating the OST and Outlook Mail Profiles, but it still had no effect. I went ahead and completely uninstalled Microsoft Office, and reinstalled an older version. The issue DID NOT occur on the older version. Once updating to the latest, the bug re-occurred. I’ve been scouring the internet for 2 days now trying to find information on this however I haven’t received any. This is most likely a new bug produced in the update that resolved the last bug. I will be posting updates when I hear more. Microsoft has acknowledged that an MVP has reported this issue to the team. They are investigating. There is a new issue starting to be visible in the last couple days that I’ve noticed across 3 fully patched systems (Windows 10 running Outlook 2016 connecting to Exchange 2013). 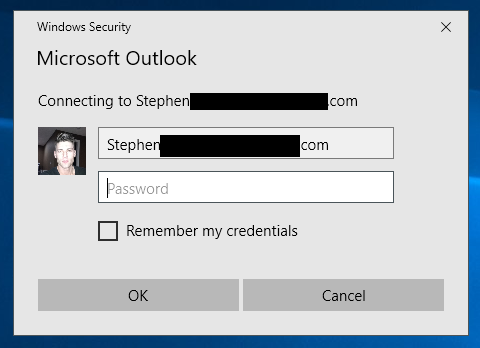 When using Microsoft Outlook 2016 with Microsoft Exchange 2013, a password prompt becomes visible when opening an attachment in an e-mail. The attachment will open, however the prompt occurs after it’s opened, and only appears if an attachment is opened in the first place. The prompt will not appear if an attachment is never opened or highlighted (selected). When entering AD credentials, the prompt keeps re-appearing. When you hit cancel, Outlook will continue to function. You may also see the prompt shown below. After troubleshooting, I can confirm this is NOT related to any of the traditional “Outlook password prompt” issues that users normally experience due to misconfiguration, and I have a feeling this is related to either an Outlook 2016 update, or an update for Microsoft Windows 10 (and/or Microsoft Windows 7). I’ve only found one other mention of this occurring on the internet which appeared a day ago, where multiple users are experience the same issue with Microsoft Office 365 with Microsoft Outlook 2016 with multiple operating systems (Windows 10 and Windows 7). As of right now I have no information on a fix, but I wanted to post this before other admins start ripping apart their Exchange servers trying to resolve this. Please see below for a fix! Update October 2nd, 2017: I’ve read that someone used the downgrade guide from Microsoft and downgraded their Outlook 2016 client to an earlier “Click-to-Run” 2016 version. This stopped the password prompt so it appears this issue has to do with the latest updates for Microsoft Office (Office 2016 and Office 365). Update October 23rd, 2017: Still not fix, however Microsoft has finally acknowledged this issue. Information on their workaround can be found here. Essentially they’re recommending downgrading to a previous “Click to Run” version of Office. Update November 3rd, 2017: Our Reader AC reported that Microsoft released a statement saying that they addressed this issue in the most recent flights (updates revisions for a line of products). I updated my Office 2016 Click-to-Run instance, and I am no longer receiving the password prompts. I will update in a few hours to confirm it stays this way! Update November 5th, 2017: I can confirm that the latest updates have fully resolved this issue, but create a new issue as well.